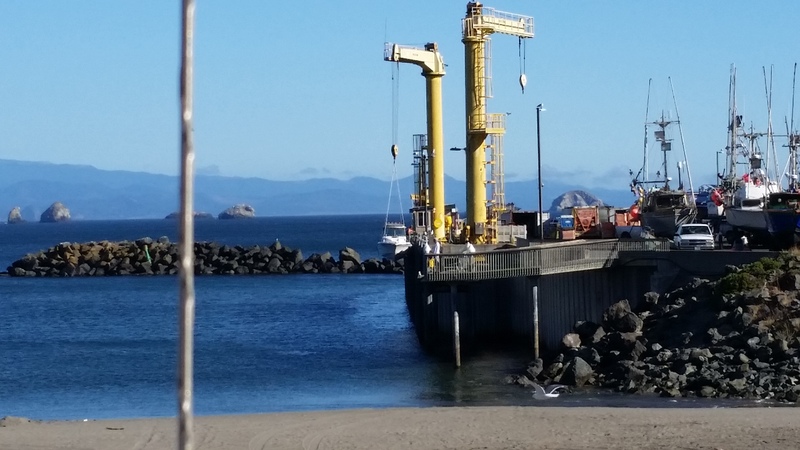 destination Port Orford! – RV Cheaper! July 4, 2014 December 29, 2014 RV Cheaper! 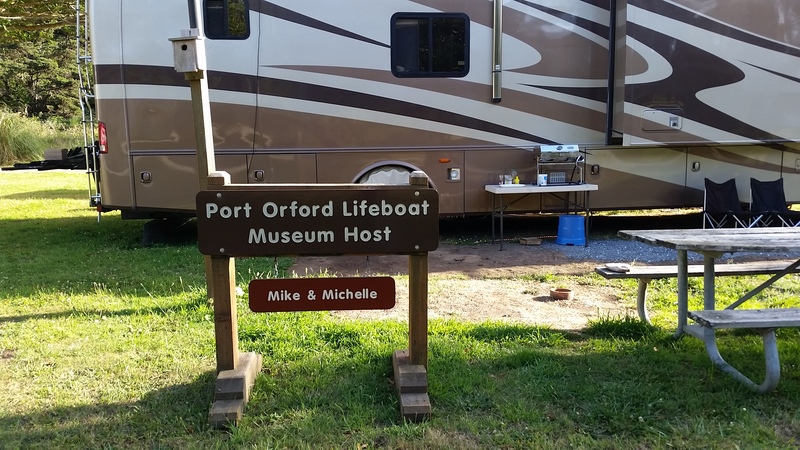 July 4th, we finally made it to Port Orford to see Mike & Michelle where they were spending the month as interpretive hosts at the Port Orford Lifeboat Museum. We got into town about 3:00 pm and gave them a call to let them know we would be at the local Laundromat catching up on clothes while they wrapped up their day at the Museum. They met us there as we finished up folding and then showed us the way to their campsite. 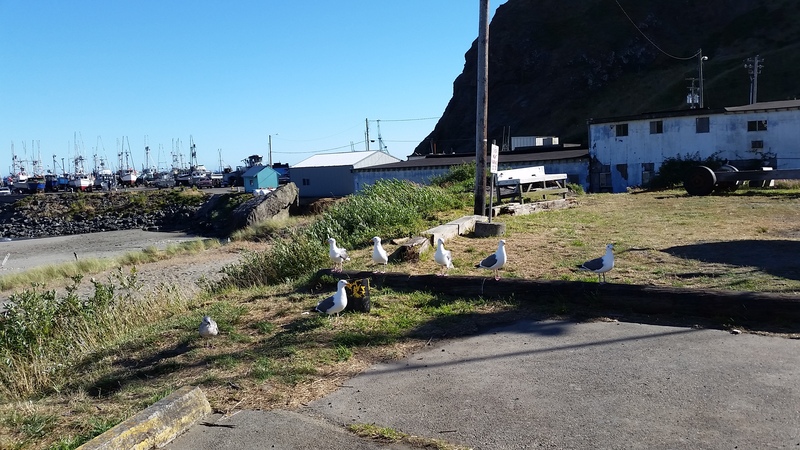 Port Orford is a nice little town where the Cape Blanco Lighthouse serves at the most western point in Oregon. Go to http://www.portorford.org/ to get more information if you want to plan a trip here. 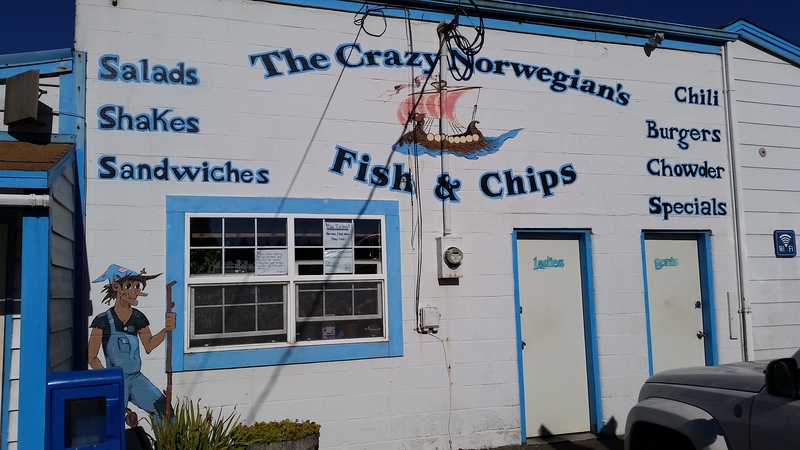 If you like seafood, if you like Fish & Chips, don’t miss a trip to The Crazy Norwegians! Next you have to go out, but you don’t have to come back!